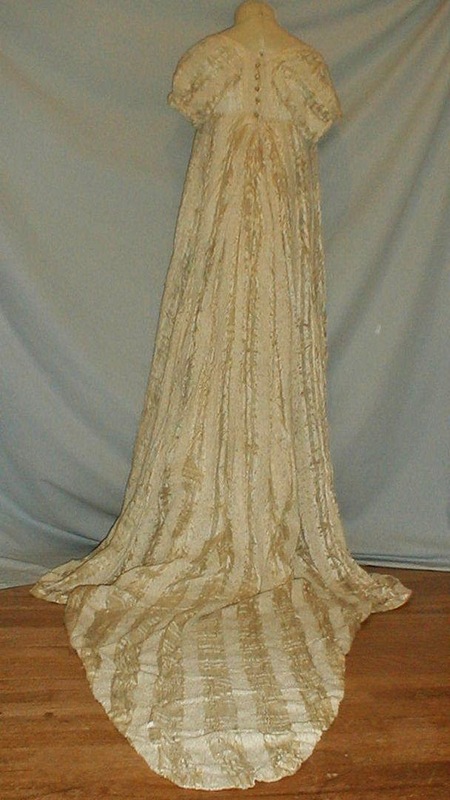 A very rare 1800-1810 textured and ribbon silk wedding or presentation dress. The bodice is gathered at the center bust area. 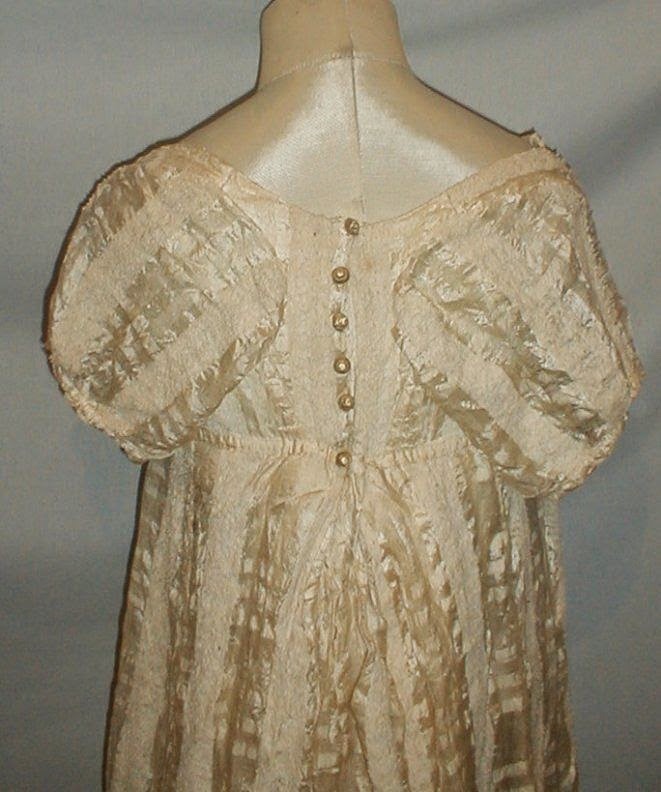 The bodice has short sleeves. 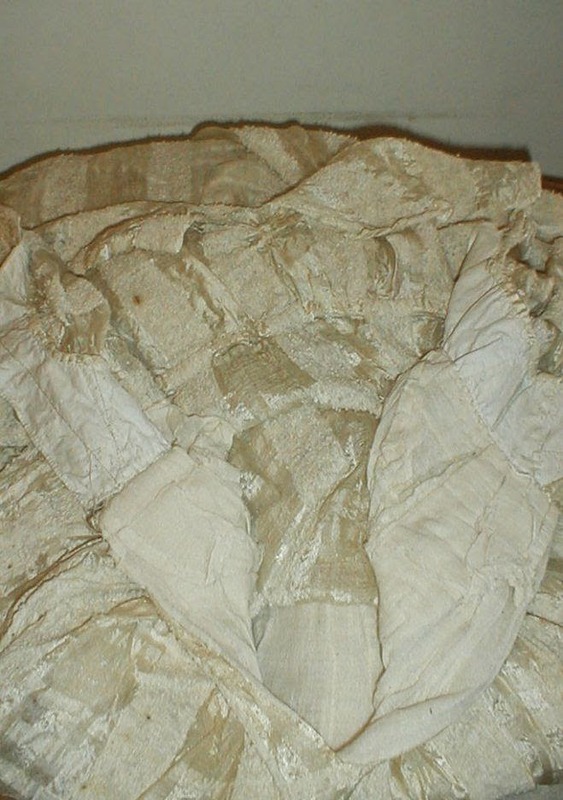 It is partly lined with cotton. There are decorative button son the back closure but no hooks or eyes. The closure shows signs of being just pinned in place. The dress has a high Empire waistline. The skirt has a long back sweep. The train is lined with cotton. The dress has age related flaws. 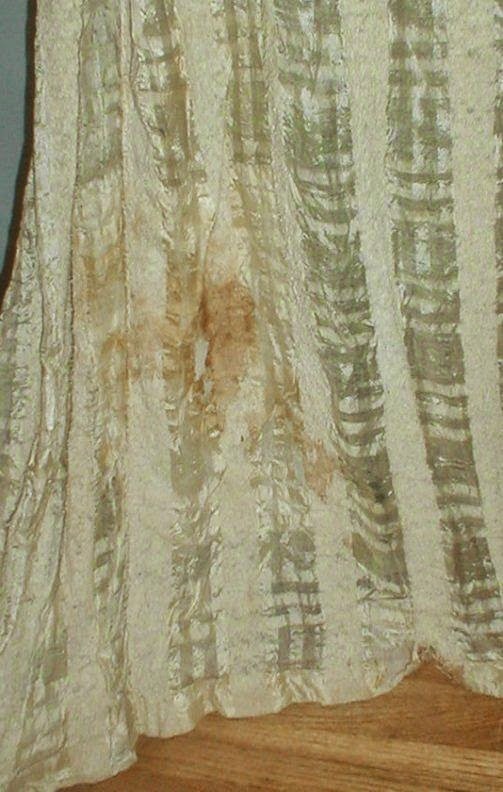 As can be seen in the photos the lower front of the dress has a wide age discoloration and splits in the fabric in this same area. Along the way this area has been backed with linen. 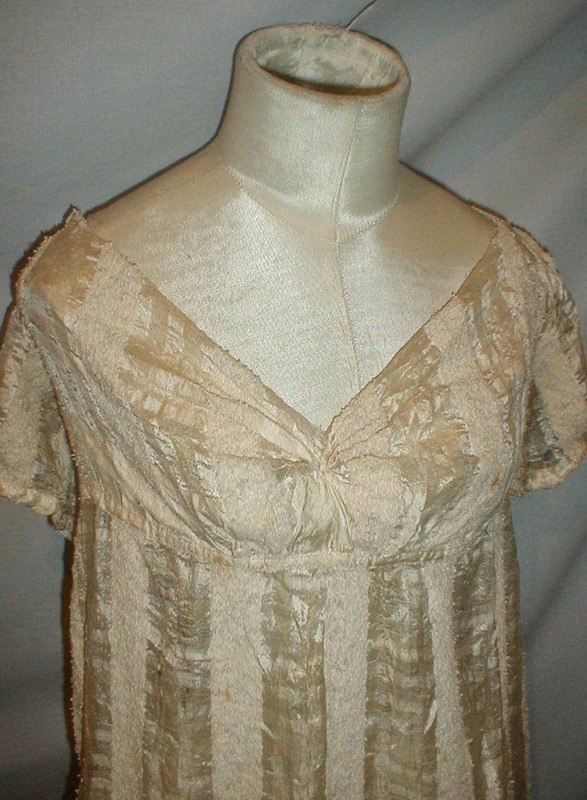 There is a ½ inch split near one armscyes and small pea size holes in the sleeves. The skirt has a few scattered small pea size holes and small age spots. The front hemline has a split in the fabric. (See photos.) 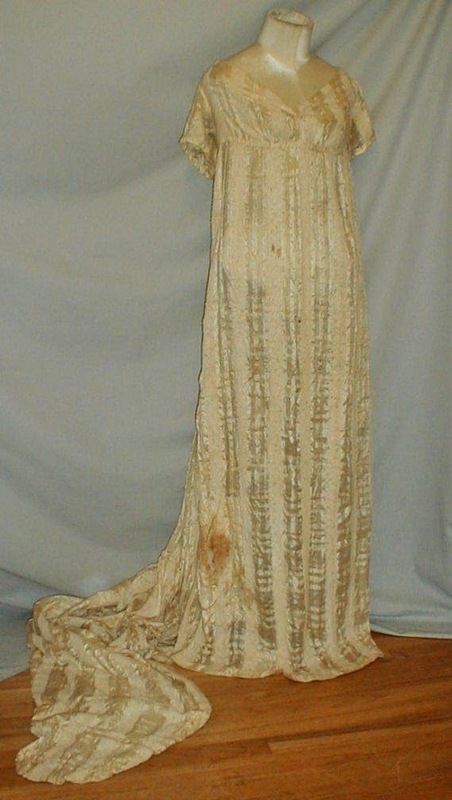 Still a wonderful early dress to add to an early textile collection. The dress is for DISPLAY ONLY. Bust 30 High waist 28 Front skirt length 46 back length 80. Some of you might notice this is very similar to the dress I put up a few days ago. Both were sold by the same seller. The main difference in style is this one has a train. That's really about it. No lining in the front, same bodice style, buttons up the back, same striped fabric... I really wouldn't be surprised if this was some sort of wedding dress and the other was a bridesmaid's dress or if one was the presentation dress and the other was what one of the sisters who was already "out" wore.